Monument Avenue, “a most pleasant street on which to be” (from Great Streets, Allan B. Jacobs), is the grand residential promenade of Richmond. West of the highway commercial buildings begin to appear in the mix. 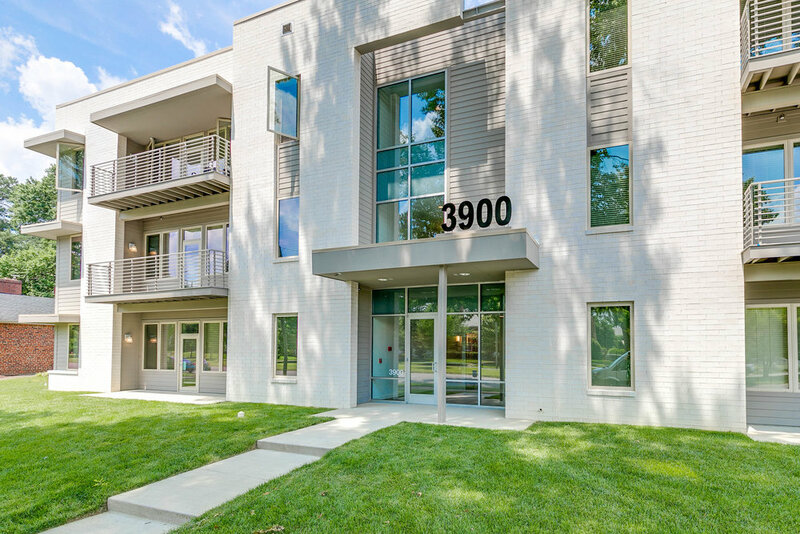 The 3900 Monument Avenue Apartments, at the corner of Kent Road and Monument Avenue, replaced an aging one-story medical office building. The new apartment building follows the the street lines of Monument and Kent, and aligns with the massing of the International Mission Board Headquarters across Kent. 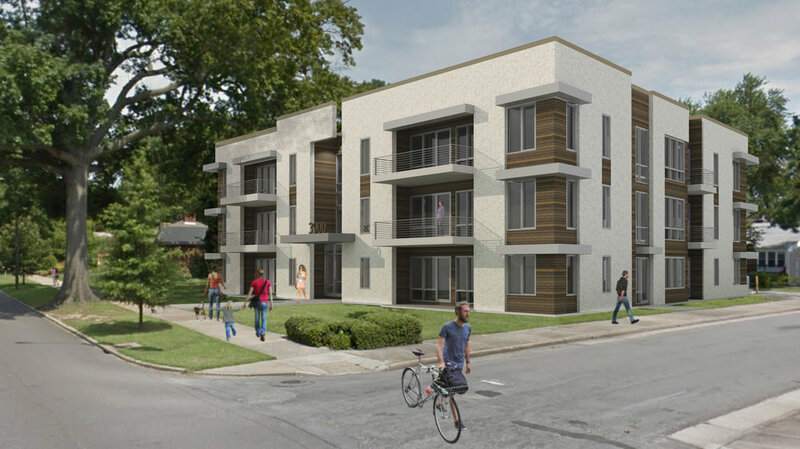 White brick, large expanses of windows, and exterior balconies define the facade, and bring new residential energy to this corner of the avenue. 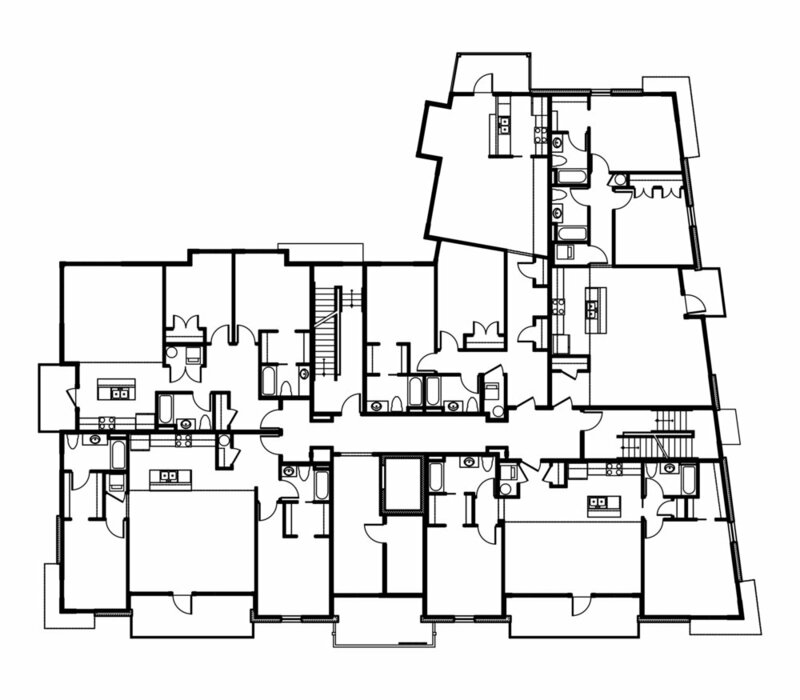 The 3-story 15 unit elevator building was designed as condo quality 2 bedroom / 2 bath units. 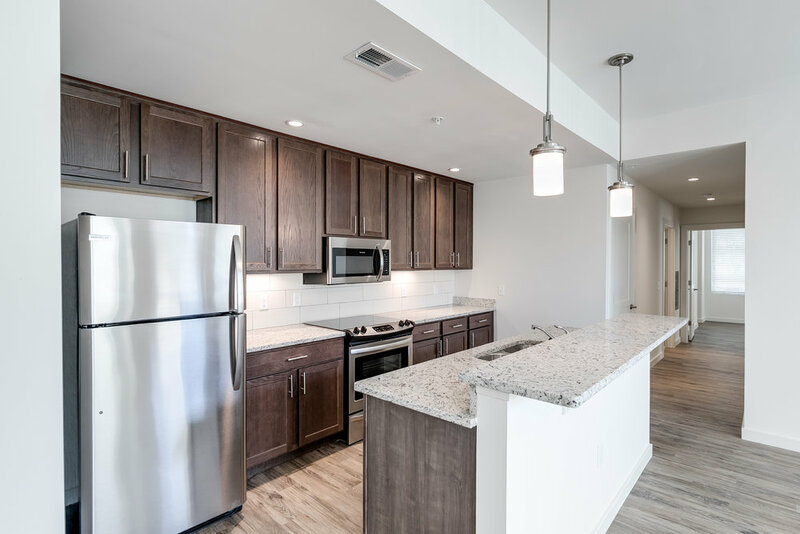 The 1100 sf apartments have spacious floor plans with large open Living/Dining/Kitchen areas, exterior balconies or patios, generous closet space, and tons of natural light throughout. Monument Avenue developed over time, with each phase concurrently influenced by the past and looking to the future. 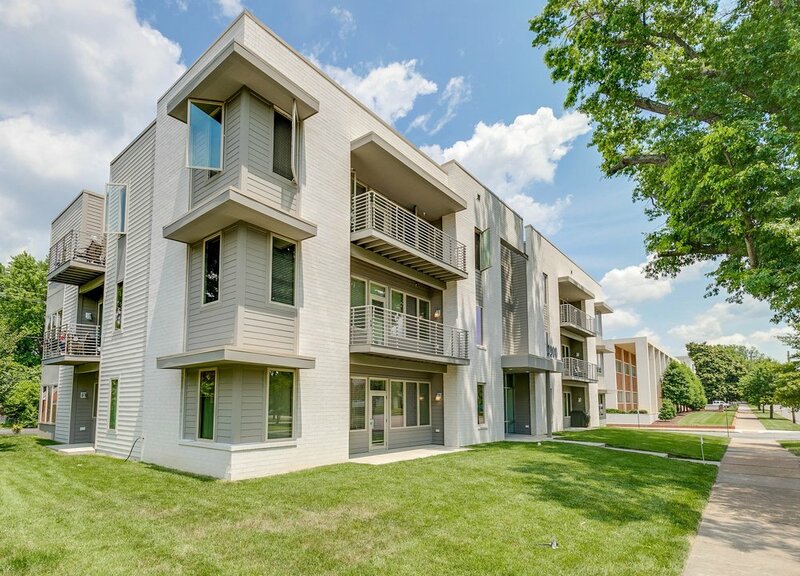 When Yogi Singh and his team realized they could develop multi-family residential on this property, they made a plan to build a modern residential building with high quality units deserving of the Monument Avenue address, and helped to extend the legacy of this grand avenue west of the expressway.